Just across the Hudson River in Inwood, Clara’s family, her upbringing and her secrets are coalescing into a force of their own. Then there is Tito Moreno. Tito was Clara’s secret high school sweetheart. After their not so innocent tryst, Clara simply disappeared from view, leaving Tito, as his mother, Doña Sylvia, would say, “an incomplete man”. Tito is obsessed with what could have been. In fact, he lives two lives; one that is his mundane reality and the other a rich and dangerously delusional imaginary life that helps him to cope with his circumstances. When a series of seemingly unrelated events lead him to finding Clara once again, major drama ensues. That is all I need to say. This book is absolutely spellbinding; you will not be able to resist its temptation. You have been duly warned. 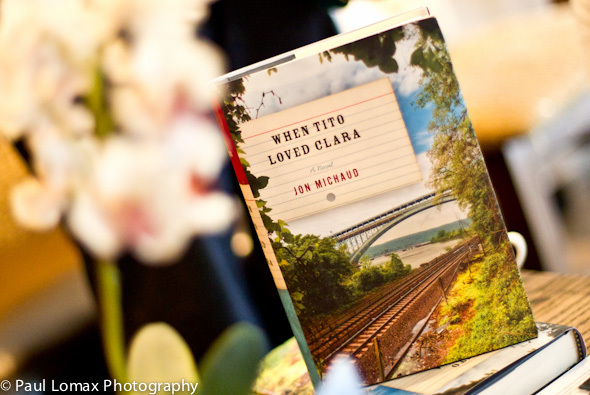 This entry was posted in #WHIN, Writings and tagged Books, Inwood, Jon Michaud, The Led Black Book Club, washington heights, When Tito Loved Clara by Led Black. Bookmark the permalink.